Melissa Klein - Absolutely adorable, Mandy! I love that second one – beautiful! Carrie Small - Oh he is adorable!!! Gorgeouss shots–especially love the black and white one! Laura Brett - What a sweet girl. Adorable! Tiffany - Adorable shots! Love that last one…too cute! Malisa - love that first one!! so cute! rachael - omgosh what a CUTIE!! love the one w/ the hat. Lindsay - Great shots! he is adorable and the eyes really shine!! Sharon - Oh my what beautiful eyes! christy - The second shot is just too dreamy – eat him up!!!! Aimee - These are beautiful! Heather R. - So cute, that last one, wow!! kelly - These are precious-love the last shot with that cute little hat! Trisha - He is so cute! Great pictures! Donnell Probst - What a CUTIE!!!!! Nicki - what a cutie, love the last pic! Krysia - What an adorable little one!!! I just LOVE that first one. Great job Mandy! Amanda Zika - What a cutie!!!! I tell you what, with all of these adorable babies, I will just have to have another one soon. Baby feveR! Melissa Koehler - These are so adorable.My favorite is the last one, I like the wood flooring. Great work! Kim Fordham - What an absolute cutie! Love it!!! Ashley - What a cute baby boy! Beautiful light. I love that hat too. Inna - So adorable!!!!!!! Great job! Kelsey - Such a cutie and that hat is wonderful!! Kim - Oh my goodness.. sooo sweet!!! sharon v - awww. he is too cute for words! Kim K. - He is a doll!!!! Love his expression in the first shot! megan parker - What a cutie!!! Models don’t get much better than this huh? I bet mom and dad are thrilled. He is toooo adorable! Ramsey - The lighting is great. He is such a cute little guy! Meet Anastasia.. she is 9 months old this month and Mom wanted a lifestyle session to capture her in her environment. I had so much fun catching her at just the right moments! Enjoy your sneak peek! Laura Brett - What a sweet girl! Great job Mandy! giovanna - Oh such a sweetie!! Love those sparkling brown eyes!! Becca - Oh what a cutie! I especially love that second one great shots! Cassie - These are great! Love your shooting and processing style! I’m sure Mom and Dad will love them! Julie - Your colors and clarity are AMAZING! Great job, Mandy! THe parents are sure to be thrilled with these!!! Trisha - Gorgeous pictures! Love how bright and clear they are! Sarah Fuller - These are fantastic! I love lifestyle pics. Kelsey - She is so cute and looks like you really captured her! Nice job! Tiffany - Sooooo cute!! Love them! Marinda - What a doll!! Gorgeous color. Great job! Shanna - Aww she is so cute! Laura - Dimples!!!! Wow great colors! Jenny - These are so crisp!! Perfect captures! Kim K. - Too precious!! Love it! You might remember the SNEAK PEEK from this adorable couple’s wedding on New Years Eve. Their gallery is now completed and ready for viewing and I couldn’t help but share some more of my favorite shots! Congratulations again Cindy and Greg!! Julie - These are gorgeous, Mandy!! Shanna - These are great! Becca - What a gorgeous couple! I love that third image! Jackie - Beautiful wedding and great images that they will cherish. Malisa - Great job- I really like the black and white ones! Laura Brett - You did a wonderful job Mandy capturing the moments! Trisha - Beautiful photos! You did a great job ! Inna - These are beautiful! You did an awesome job! giovanna - Love all the unique and creative angles. Great job! Kim K. - These are awesome!! Love the colors and love the black and white shot down the aisle. Great work! Melissa Klein - These are beautiful, Mandy! Kim Fordham - Beautiful Mandy! I love those red dresses. You did a great job! Rosemary - Gorgeous!!! The couple looks so happy! It’s because they have a great photographer! Kim K. - So pretty!!!!! Love albums! Heidi Trejo - Cool albums. Melissa Klein - Those look really nice! Amanda Zika - I love these! Where did you order them from? They are yummy. Kim K. - These look awesome!! Kim - That is a beautiful album..
rachael - they are great! this is inspiring me to do some real product photography. i am slacking on it. Sharon - Oh what a gorgeous album! Laura Brett - Lovely Mandy! Lisa - Love these! Wish I had them for my wedding album! Julie - I wish I had one of those! Lovely! Deanna - I want one now!!!! Jenny - Awesome! They look amazing! veronica starr - the book looks awesome!!! sharon v - beautiful albums. Lucky bride & grooms will LOVE these! Deborah - Those are beautiful. I want one. Kim - That looks beautiful. I want one! sarah - oh that looks lovely! brunilda - Beautiful! Love it a lot. Shanna - That is gorgeous Mandy! Aimee - You are so talented, Mandy! Great work! Bravo!!!! Kate - Incredible!!! Lovely job! Melissa Klein - These are beautiful, Mandy! Fantastic job! Sarah - Wow, these are gorgeous. Great job, Mandy! Lindsay - Beautiful captures and great colors Mandy! Shana Cawley - Love the images! Awesome work! Lori Free - Gorgeous photos! I absolutely love the one of them dancing in black and white. Very intimate feel to them all. Great job! Lisa - beautiful! Love the “dip” picture! Meghan - Amazing talent and beautiful bride! Kim - Beautiful. I absolutely adore that candle shot. Sarah Carter - Gorgeous pictures, Mandy! What a lovely setting and all around beautiful wedding…wonderful job!! Tina - These are absolutely gorgeous! Amanda - Beautiful shots! Love the silhouette! Carrie Owens - great shots! the last one of them dancing is great – they look like a very happy and fun couple! Kelly R. - Love the gummy bear cake!!! How original. Julie - Beautiful shots – I imagine it was difficult with it being so low-lit! I LOVE the silhouette of them dancing!!! Kim K. - Love the black and white shot of the groom dipping the bride in the second to last set! Great work! Sharon - Wow! What creative shots you captured. Tori - They are all beautiful, but the sillouette by the window is simply stunning! Trisha - GORGEOUS! The silloutte shot by the glass window is perfect! Donnell Probst - Wow, I would have had a meltdown with that little light!!! Great job! Laura Brett - What a beautiful wedding, so many wonderful captures they will cherish forever! Sandrah - Cute couple! Love the shot against the stained glass window. So sweet! Casey - What a gorgeous family and a fantabulous job capturing the sweet moments! Great job Mandy! melissa - Great work….and coolest cake toppers ever! kelly - Wow, I love them all…that black and white of them dancing is GORGEOUS! Julie - Love the lighting in these, wonderful and romantic! Dana - What a cute wedding — you did a fabulous job! Carey Pace - Wow…. I typically like to tell photographers which image is my favorite… but I can NOT choose one! at all…. I love them ALL. Don - These are really excellent photographs! Fabulous job! Mistie - I love the candle portrait! brunilda - Lovely photos. Creative and innovative. My favorites are still the candle and silhouette. jody - wow Gorgeous photo’s!! You really captured their essense. I’m sure the poor light was a Challenge too!! Christi - Love these! That silhouette is awesome! Jackie - Beautiful wedding and pictures!! They will cherish them, I’m sure. Melissa - These are beautiful, Mandy! Tiffany Bender - These are beautiful!!!! I love the story you tell. Alissa - I love these pictures, Mandy! You did a wonderful work on these! You really captured the details! Melody Stiles - I am SO IN LOVE with the silhouette of them dancing in the room in B/W. OMG! Now I want to see the movie to see what happens with them! That is one amazing shot! Marinda - These are gorgeous! I love the black & white of them dancing. Simply beautiful! Kelsey - Beautiful images! I love the Gummy Bear Cake! 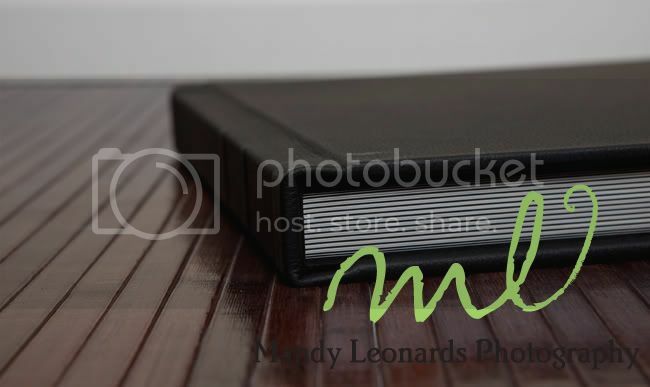 Michelle Barnes - Fab job Mandy – looks like a fun couple and very nice captures of their special day. Congrats to the two of them! Cyndi Whitworth - Mandy these images are stunning! Great eye in catching those beautiful details; which I am sure this couple will treasure always. Stacy - Beautiful images! Love, love the sillouhette with the stained glass!